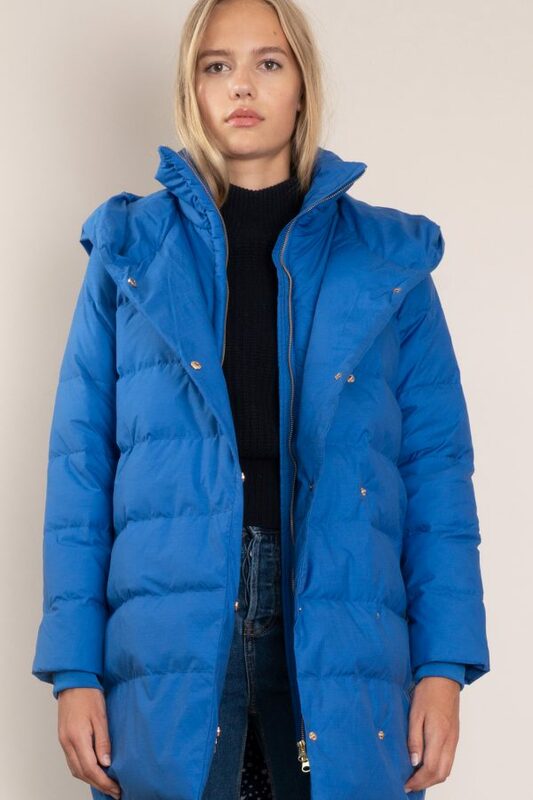 Quilted puffer down coat with a velvety feel and side-cut panels for a slimmer silhouette. 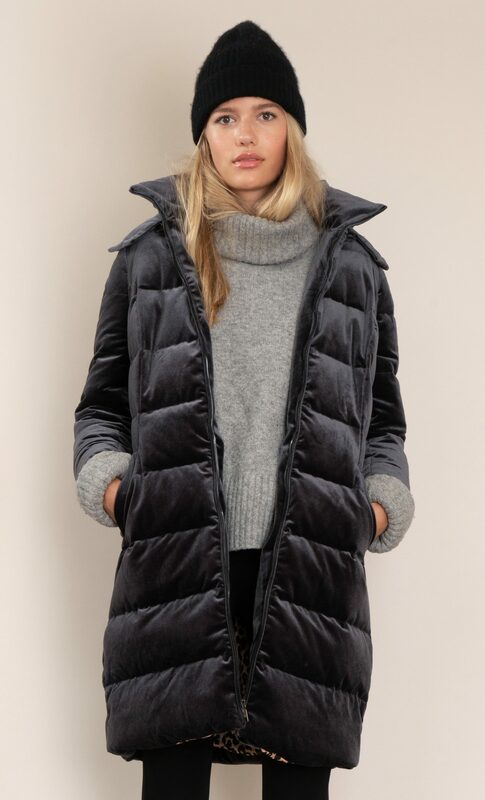 The hood is detachable and the pockets can be closed by invisible zippers. Colorful leopard print lining.